It was another of Khufu's sons, Khafre (Chephren) - builder of the Second Pyramid and Great Sphinx at Giza - who succeeded Djedefre in about 2558 BC. Manetho identifies Khafre as Suphis II and credits him with a reign of 66 years - which cannot be substantiated. Khafre did have quite a long reign, however, probably between the 24 years ascribed to him by the Turin Royal Canon papyrus (and apparently confirmed by an inscription in the nearby mastaba tomb of Prince Nekure) and 26 years. At any rate, his reign was long enough to produce a magnificent funerary complex at Giza. The country was prosperous under Khafre, as is evidenced by the mastaba tombs of the nobles of his court. Carved on the wall of one of them - that of Prince Nekure, a 'king's son' - is a will, the only one of its kind known from the period. 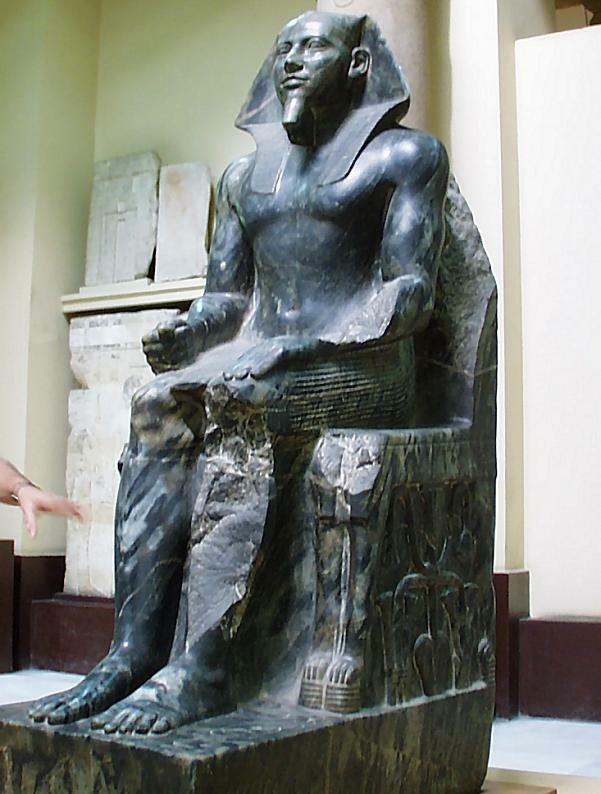 In it he left 14 towns to his heirs, at least 11 of which (three names are damaged) were named after his father Khafre. Nekure's legacy was divided up amongst his five heirs, but 12 of the towns were earmarked to endow the prince's mortuary cult for his tomb.